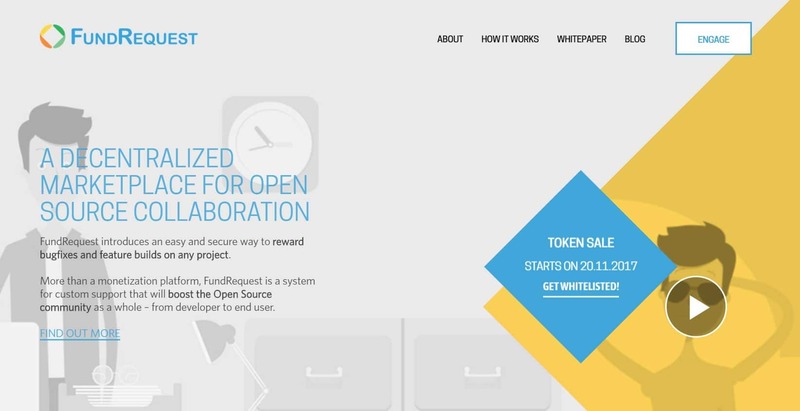 After over a year of development, FundRequest has released a new Blockchain platform built specifically for the funding, claiming, and rewarding of open source contributions. The company aims to introduce a new approach towards open source development that benefits both the developers who are creating the code and the organizations that use it with the overall goal of further driving the applications of open source technology. The use of open source platforms and technologies, from Linux to WordPress, has exploded in adoption amongst businesses and industry over the past decade. Open source is often at the ‘bleeding edge’ of software innovation and matches the pace of innovation within the corporate world. Most organizations realize this and turn to open source to develop software solutions and in the US alone, it is estimated that over $60 billion each year is saved by companies using open source technology. Developers often work on open source projects to contribute to communities and technologies they are passionate about or simply because the resources afforded by crowdsourced solutions are better suited to solve a particular issue. According to a 2016 Future of Open Source Survey the numbers of respondents that made contributions to open source projects was 65 percent, 50 percent higher than it had been since a similar survey conducted in 2010. The uptick in the development of open source projects has caused communities, like Github or StackExchange, to flourish. On a similar rise, Blockchain systems stand to disrupt intermediaries in marketplaces. FundRequest seeks to bring to users the power of a disruptive Blockchain platform that works in correlation with open source communities. With FundRequest, users will be given access to a decentralized ecosystem that provides code-enforced guarantees against corruption. Thanks to the immutable distributed ledger of the Ethereum Blockchain coupled with smart-contract governance, clearly coded syntax for transaction processing will nullify vagaries currently present in today’s centralized intermediary verification model. The company’s flexible system utilizes metrics of functionality from projects on open source platforms like Github, supplying this data to smart contracts that autonomously disperse funding per request. Funding is only sent if a project’s functionality can be demonstrated, and will be withheld otherwise. Many open source problem solving networks utilize communities, members of which resolve issues by providing the best answer, bug fix, or solution to tickets submitted by other users. FundRequest’s plugin will allow users to fund open requests on networks like Github with a fund button. After setting up a Github request ticket, users can use the FundRequest interface to fund them which generates a unique smart contract to manage the payment of funds. Ticket requesting is all managed on the independent networks, whereas the claiming of rewards by contributors is managed solely through the smart contracts generated by the FundRequest platform. After a claim is proven valid all the transactions are processed transparently on the Ethereum Blockchain with a small amount being deducted in exchange for reputation and zero fees going to FundRequest. FundRequest launched an alpha module of its platform back in September 2017, where users were invited to give feedback to developers to implement improvements and fix bugs. Ahead, FundRequest plans to release version 1.0 of its platform to the Ethereum Testnet in November of 2017 with features including login with Civic, Azrael communication layer between the Blockchain and the backend, and more. Future plans include Github platform integration, a browser-plugin enabled funding option for Github Requests and funded issue resolution, and the ability to claim a reward on the FundRequest platform. By 2018 FundRequest envisions platform cooperation with additional repositories like bitbucket, and Gitlab; ticketing platforms such as Jira, Asana, and Basecamp; and Q&A communities including StackExchange and Quora. In 2019 FundRequest will provide HR services, offering them to LinkedIn, Elance and Toptal, in addition to recruitment agencies like TEKsystems, Harvey Nash, and Huxley Banking and Financial Services.